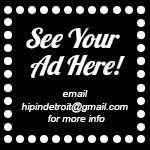 Hip In Detroit: Scrummage Fest! The first time I ever heard of the now legendary "Scrummage" crew was quite a few years back when I started going to shows at Scrummage University. Their brightly colored chandeliers would have overpowered any normal size apartment, but in their huge loft in Eastern Market they fit just right. Scrummage University was one of the coolest places in Detroit that I have ever been to a show. There was a wide range of bands that came through that space and one that I saw there for the first time is still at the top of my list of favorite bands, The Death Set. After my days of going to Scrummage University it was a few years before I heard the name again, but this time around it was Lord Scrummage. Then, it was a two piece (from what I remember) and now it has morphed into a full band with a very stylish female vocalist. Despite the name, and whether it was during the loft period ,the band era, or somewhere in between, one thing is for sure. Whenever you hear the word "Scrummage" in Detroit there is a whole culture, idea, and crew that goes along with it. 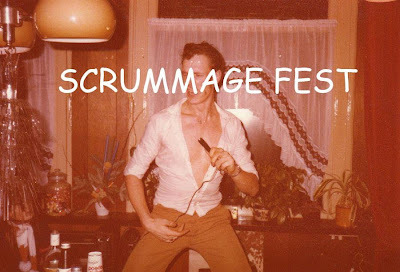 This weekend is your chance to party with the Scrummage gang as they are putting on a four day event called Scrummage Fest. The weekend starts on Thursday night with Scrummage Karaoke at the New Dodge in Hamtramck. This free event is put on weekly and brings out more people than any karaoke night I have ever been to. I stopped by a few weeks ago for the first time and was pretty impressed by how packed New Dodge was and surprised by the wide range of people in attendance. It was a really fun time and this week should be even better as there are going to be "special surprises". Who doesn't love a surprise??? Scrummage Fest continues on Friday night at PuppetART in Detroit. This venue will have live music from Horatio Clam, Lenny Stoofy, Ben 'Jamin' Filler, and Dan Demaggio. 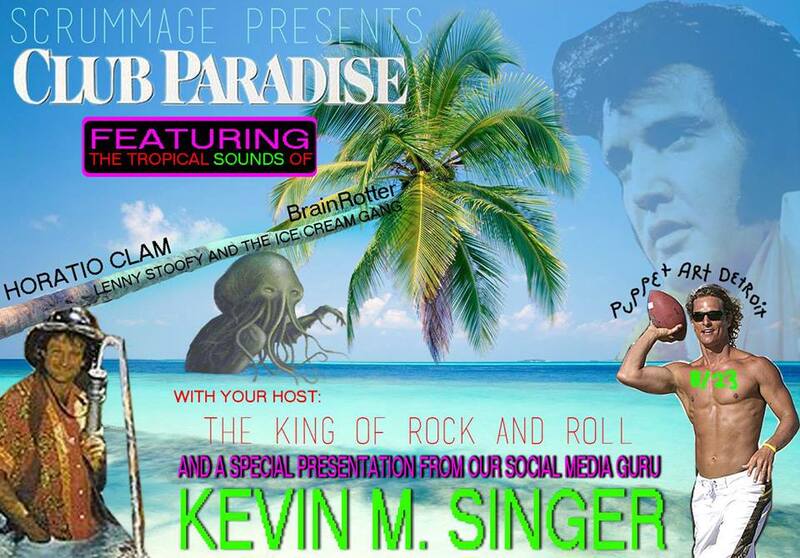 The event, being called Club Paradise, will also feature a "virtual canoe trip" and will be hosted by the King of Rock 'N' Roll. After this show there is an after party at the Adult Contemporary with Siobhan, Bad User Experience, Rawaat and Solid Liquid. Saturday's activities will go on most of the day and will be spread across two different venues. First, starting around 2 in the afternoon, head over to Clyde Moop (1360 W. Elizabeth in Detroit) for Phantom Cats, Doc Waffles, Breezee One, Brian Burke, Blood and Honey, Lobotomys, Radio Brovold, Manx aka MC, Get Money Crue, Lord Scrummage, Public Urination, and more. Surprisingly, even with all of these amazing acts, this is another free show. Later in the night you can head over to the Mexicantown Fiesta Center (4114 W Vernor Hwy. 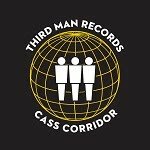 in Detroit) for more music, including sets by Ancient Language, Coyote Clean Up, Steve Young, North Lake, and Conor Mendenhall. This event is $3 and starts at 10 p.m. Finally, on Sunday morning you can nurse your hangover and cheers to an amazing weekend of partying with a mimosa at Scrummage Fest's Noise Brunch at Jam Handy (2900 E. Grand Blvd.) $10 will get you in the door to this show and will get you brunch. The event starts at Noon and the tunes while you are eating will be provided by Space Band, Unholy Water, Shades, Yogurt Culture, Fred Thomas and Haunted. Sounds like Scrummage Fest is going to be a blast and not your typical weekend, or fest for that matter. Whether you make it out to one or all four of the dates, we're sure you will have a great time! So get ready to sing, dance, and even eat some magic berries this weekend at Scrummage Fest 2013!! !